An excellent kick starting with steel insert for MINARELLI scooter, Yamaha, Peugeot 50cc 2-stroke. 19,91 € 19.91 tax incl. 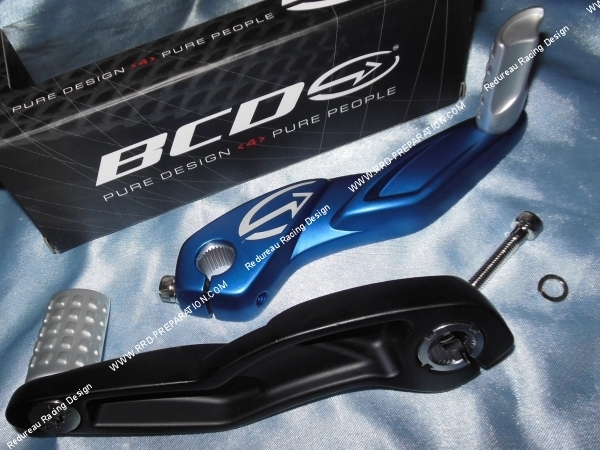 Here machined aluminum boot kick, straight out of at BCD, its quality is not talking and the pictures speak for itself! Sober and ultra racing, it will be a real asset to the aesthetics of your scooter. 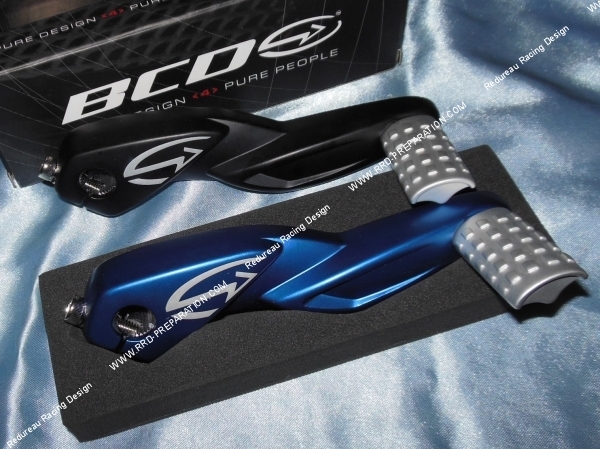 Now only available in blue color, the finish is high-end and used very good materials. It installs on all scooter Minarelli and Yamaha (Booster, Mbk Nitro, Yamaha Aerox ...) and Peugeot scooter (Ludix, Speedfight ...). In summary, an exceptional piece with a low price for the proposed equipment! Provides with its mounting screws and clamp to the axis of kick, for Ø12mm with serrated insert reinforced steel shaft. 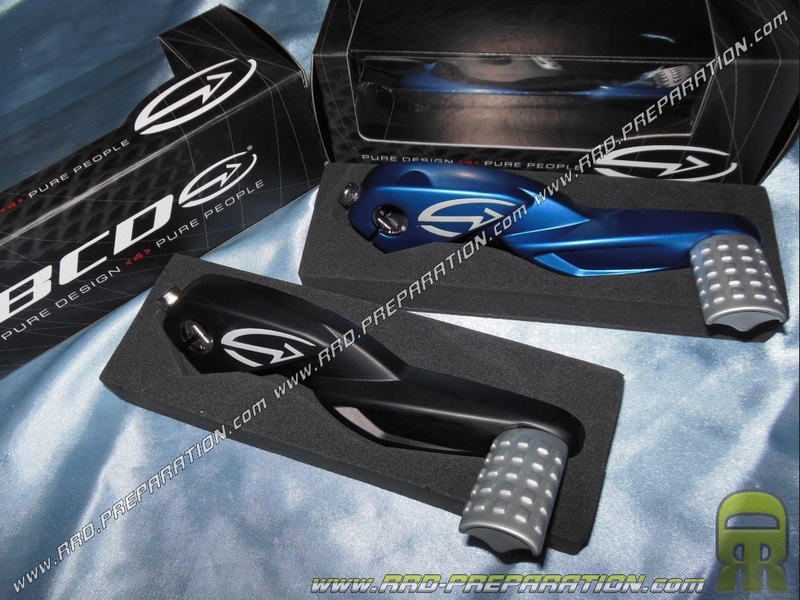 Specific tip with anti-slip coating off.